An artist's rendering of a DNA molecule, which can be re-engineered with CRISPR to test mutations. A new scientific analysis of nearly 4,000 mutations deliberately engineered into the BRCA1 gene will immediately benefit people undergoing genetic testing for breast or ovarian cancer risk. Jay Shendure and Lea Starita, faculty in the Department of Genome Sciences at the University of Washington School of Medicine, are the senior authors. Shendure directs the Brotman Baty Institute for Precision Medicine in Seattle, which helped support the study. Starita co-directs the Brotman Baty Advanced Technology Lab. Shendure is also a Howard Hughes Medical Institute investigator. Stephen Chanock of the National Cancer Institute wrote a Nature commentary on the study. It's also featured in Nature News, "Huge genetic-screening effort helps pinpoint roots of cancer." The BRCA1 gene suppresses tumors, but the exact mechanisms by which it does this are not fully understood. Certain mutations in the gene are known to predispose women to breast and ovarian cancers. If a healthy woman undergoes genetic testing and a cancer-predisposing mutation is found, surgery or more frequent screening can greatly reduce her risk of ever getting those types of cancer. 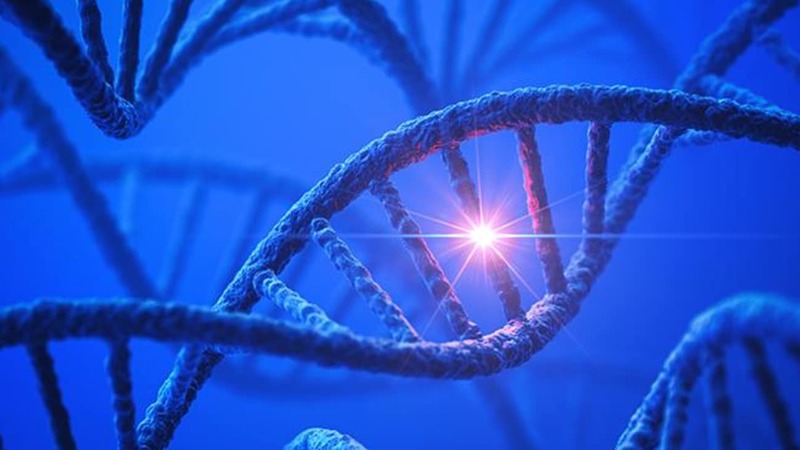 However, many women undergoing genetic screening for breast and ovarian cancer learn that their BRCA1 gene contains a variant of uncertain significance. This is a mutation that is not currently known to cause cancer, but that theoretically could. BRCA1 is an exceptionally well-studied gene, but at present thousands of mutations in it fall into this category. Their implications for cancer risk are unknown. These variants of uncertain significance, the scientists wrote in their report, fundamentally limit the clinical utility of a patient’s genetic information. There is a concern, Findlay said, that women who harbor variants that indeed lead to cancer are not identified during genetic testing, and therefore are not presented with options that might allow them to avoid breast cancer or detect it in its more treatable stages. The BRCA1 gene has been sequenced in millions of women in the United States alone over the past decade. The idea that mutations in a gene could account for some cases of breast cancer, as well as the mapping of the BRCA1 gene’s location on chromosome 17, was proposed in 1990 by geneticist and epidemiologist Mary-Claire King, after reviewing breast cancer inheritance patterns in families. King joined the UW medical school faculty in 1995. To help clinicians and patients obtain better information about genetic variants, Findlay developed a research approach called saturation genome editing. This method relies on CRISPR, an enzyme tool that cuts strands of DNA to modify its sequence. With it, they made thousands of miniscule revisions in the BRCA1 gene, even changes that have not yet been seen in a human. Then the scientists measured the effects of each mutation to see which ones caused problems in human cells growing in a dish. Previously only a few different mutations could be examined at a time. Now, the means to edit a gene into myriad versions is making it easier to understand how our DNA functions. “We are basically categorizing all of the possible changes across critical regions of the BRCA1 gene as either behaving like disease-causing mutations or not,” Findlay said. The researchers needed about six months to test almost 4,000 mutations. They are extending this work to cover the entire BRCA1 gene over the next couple of years. The researchers are quickly releasing newly available variant information through the Brotman Baty database to assist patients and clinicians trying to figure out what a test result might mean. “The ability to study in a dish what will happen in a living, breathing human, at scale, opens up a lot of possibilities in medical genetics,” Shendure added. The scientists plan to apply the saturation genome editing methods to other cancer risk genes. The work reported this week in Nature was supported by the Brotman Baty Institute for Precision Medicine, a National Institutes of Health Pioneer Award (DP1HG007811) and a training award from the National Cancer Institute (F30CA213728).